Idol unit Happy Kuru Kuru have tried out a variety of producers over their young career, though a trend among the trackmakers they work with has certainly emerged. The pair often sing over high-energy music merging future bass with cuddlier touches — Yunomi’s roughneck playhouse being a common setting, with appearances by the likes of Tomggg and Brinq, to name just a few. 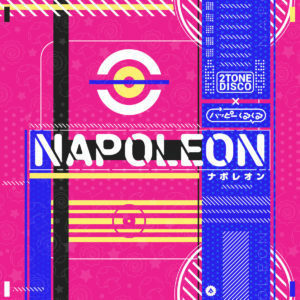 “Napoleon” serves up a nice change-up. The music comes courtesy of Los Angeles duo 2ToneDisco, and they create a slippery dance track that manages to maintain the same idol-appropriate atmosphere of Happy Kuru Kuru’s while deploying an entirely different set of sounds (see those subtle bell chimes, for one). There’s more space, and the pair’s voices get glazed in effects at various points, which is a nice detail that keeps the song shifting. It’s a great song, and the latest example in 2018 of Western artists collaborating with Japanese ones — virtual or otherwise — to create really top-notch dance pop. Get it here, or listen below.